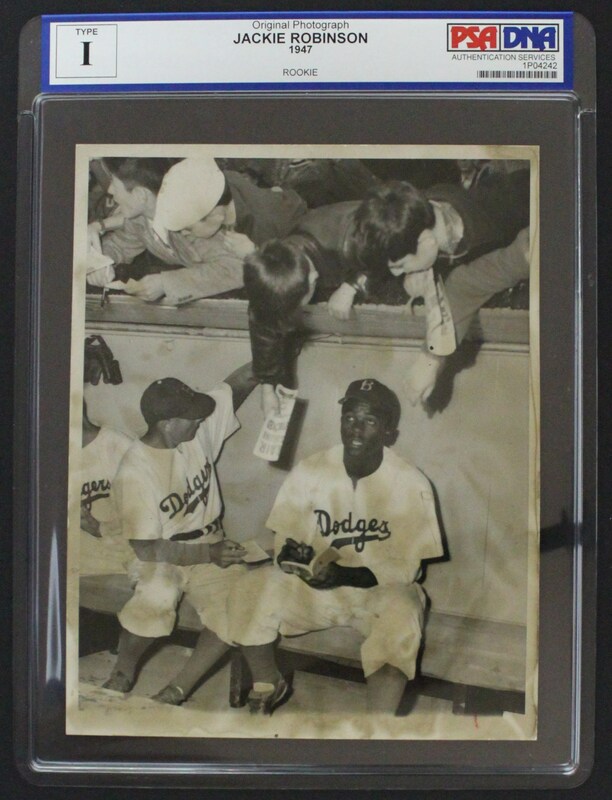 Presented here is one of the most incredible Jackie Robinson photos in the hobby; a breathtaking image of a Robinson sitting in the Dodgers dugout that has been dated April 13, 1947 on its verso. 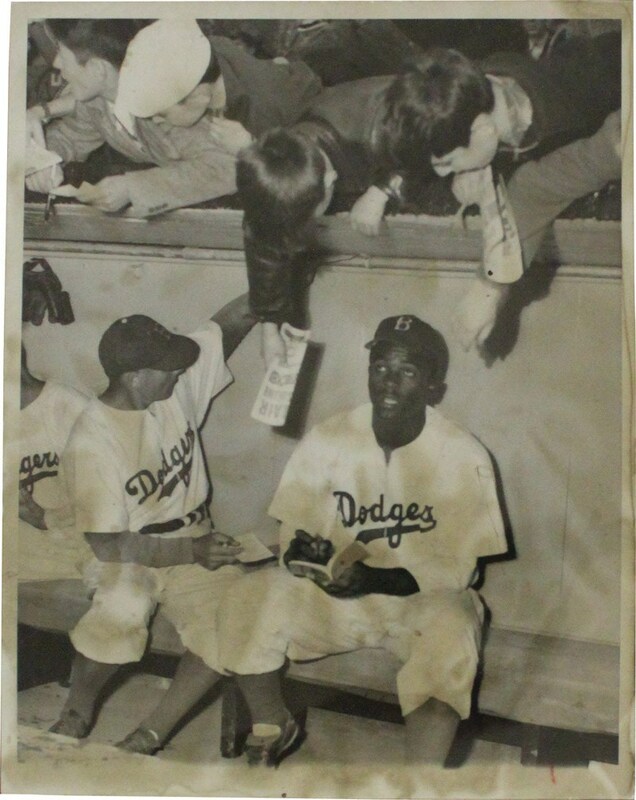 Indeed, considering Robinson's Major League debut was April 15, 1947, this image pre-dates that inaugural game, with this world-class offering clearly residing as one of the earliest Jackie Robinson Brooklyn Dodger photos extant! 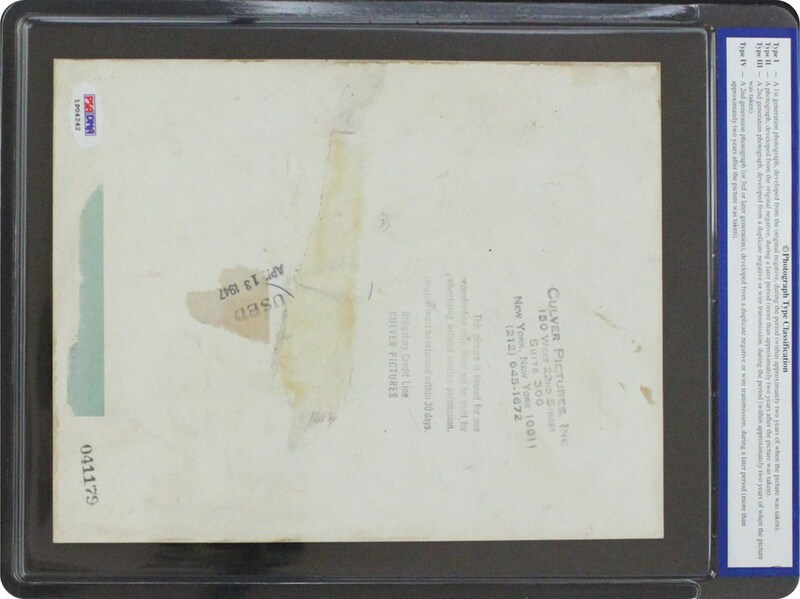 No one would argue that one of our National Pastime's most iconic moments ever was when the immortal Jackie Robinson broke the Major League's color barrier in 1947, courtesy of the unbridled courage portrayed by both Robinson and the Brooklyn Dodgers legendary General Manager Branch Rickey. That monumental occurrence changed not only baseball, but all of professional sports for eternity.